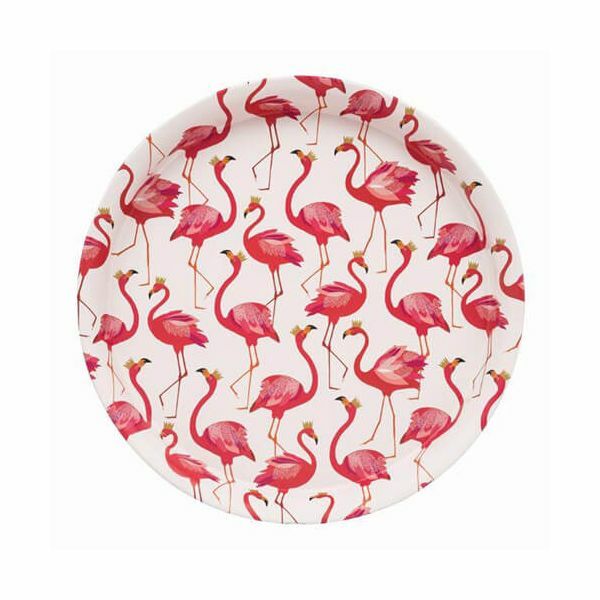 The Round Tray features the Pink Flamingo design from Sara Miller. The design features Pink Flamingos on a cream background, each wearing golden crowns. The edge of the tray has a raised lip making carrying items easier and makes a great gift for friends and family.